Webs is a do-it-yourself website building tool from Vistaprint, best known for their business creating business cards and printed marketing materials. Webs is reasonably easy to use, especially compared to services like GoDaddy, but it doesn't have as much functionality as most small business owners would like. Webs is adequate if you're just building a landing page, or basic internet storefront, for your business. While it's possible to build a functioning website in a few hours, for more complex features, you'll need to find a better alternative. For example, much like Webs, Ocoos is a website builder tool that helps small business owners solve common sales and marketing problems by providing simple-to-use website solutions. The main difference is that Ocoos lets you easily create more complex websites in as little as 20 minutes that integrate sales solutions and other core business offerings. An Ocoos site is automatically optimized for use across various mobile devices, like smartphones, and multiple browsers. Plus, Ocoos offers a concierge service which will build the website for the customer. Though it's possible to build more complex solutions using Webs, a small business owner will likely need to hire a developer and the costs for building and maintenance will be significant. Webs: Much of Webs's focus in on homepage development, and it offers a variety of website templates which are generally good. Webs has a lot of flexibility, and a small business owner can personalize her website, but this excessive customization can cause problems. For example, unless you're careful, your website might not be optimized for search engines, or be confusing or difficult for customers to use. 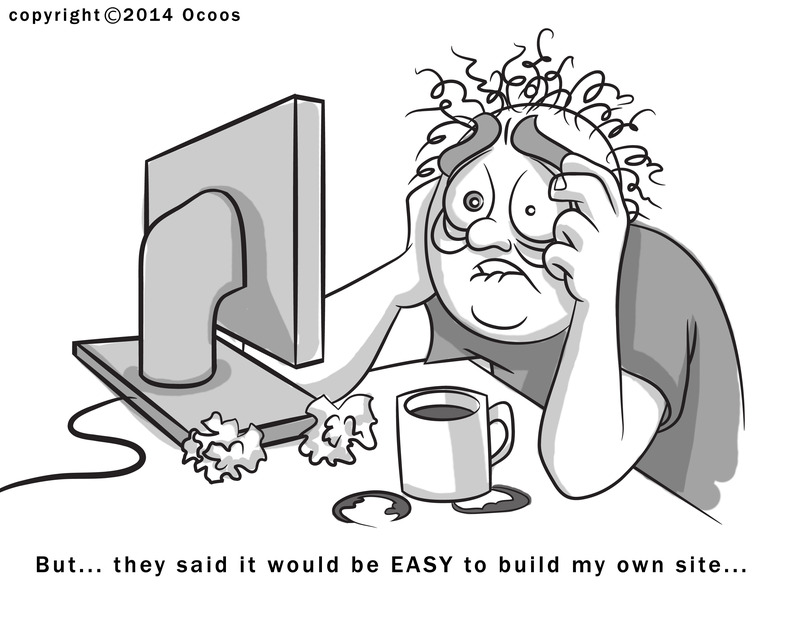 Ocoos: With Ocoos, you can build a website using a core design that is search engine optimized, and which takes user interactions into consideration. Maps, calendars, and newsletters -- all tools which help drive website traffic -- are supported. Ocoos also gives you the ability to publish public web pages and private pages that are visible via passport control. This means you can selectively publish content to certain customers. Plus, Ocoos's B2B recommendation engine lets small business owners work together, sharing marketing efforts and building trust. Webs: Webs ecommerce solution is limited to an online store for product sales only. Additionally, the customer is responsible for obtaining external merchant account services, like PayPal. Built-in messaging and appointment scheduling features are only available through third parties, and the ability to create discounts, do complex transactions, and handle documents is not available. Ocoos: Ocoos has built-in merchant account capability and access to Square and PayPal, plus, offers ecommerce support. It's easy to allow complex transactions on your website, like allowing customers to pay deposits, ask for quotes, or offer payment when a job is complete. A discount manager lets you create discount codes for sales, and an online appointment scheduler books appointments, classes and more. This scheduler can be synced to your online calendars, limited to a certain number of people, and published to other online calendars. A customer relationship management system (CRM) integrates and tracks customer interactions outside of email. Ocoos also gives business owners PDF documentation capability, receipt creation, and the ability to publish complex information. Webs: Very limited business operations are possible through Webs. The service offers hosting, but that's about it. Other features like sales tracking, client management, and flexible security aren't available. Ocoos: Using Ocoos gives you direct website hosting, customer relationship management abilities, and support for sales tracking. Flexible security is also offered and allows business owners to give marketing and analysis capability to team members without giving them access to sensitive financial data. Webs: Webs offers telephone and online support to its customers. Web costs only $5 per month, making it a good solution if all your business needs is a simple splash page without bells and whistles. Ocoos: Like Webs, Ocoos offers telephone and online support to its customers. Ocoos services cost $35 per month. Ocoos features a special concierge service which can build your website for you, incorporating the various features you'd like. This service comes at an additional cost, based on the level of customization, and generally involves a higher maintenance fee.